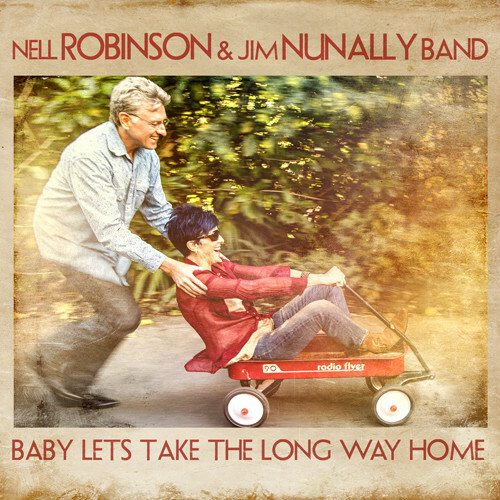 With its seamless blend of original material and classic country gems, Baby Lets Take the Long Way Home marks the beginning of a new journey for The Nell Robinson and Jim Nunally Band. Nell Robinson returned to music in mid-life, landing her on A Prairie Home Companion and a collaboration with Ramblin’ Jack Elliott, John Doe, Kris Kristofferson and others on her Rose of No Man’s Land album and PBS show. Jim Nunally learned to sing and play guitar from his father who learned from his father. A member of the David Grisman Bluegrass Experience, he earned two International Bluegrass Music Association awards for playing on the Grammy-winning album True Life Blues, a tribute to Bill Monroe.